1. Which way do I look? The supernova – called Supernova 2011fe by astronomers – is located near the familiar Big Dipper pattern in our skies. At this time of year, the Big Dipper can be found in the northwestern sky in the hours after sunset. 2. . How do I recognize the Big Dipper? 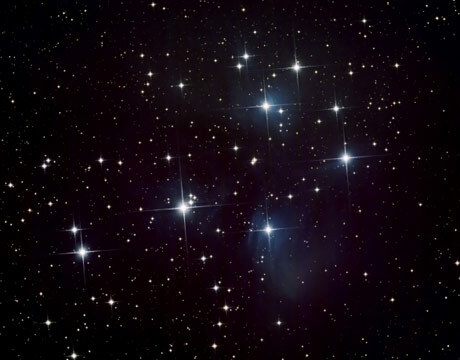 The Big Dipper consists of seven fairly bright stars in a dipper pattern. Notice that the Dipper has two parts – a bowl and a handle. 3. How do I find the supernova in the Big Dipper? You want to be looking at the last two stars in the handle of the Dipper. These stars are Mizar and Alkaid. Pretend you are drawing an equilateral, or even-sided, triangle on the sky, using Mizar and Alkaid to mark two points of the triangle. The supernova will be located at the third point of your imaginary triangle. 4. Can I see the supernova with the eye alone? No. No one knows exactly how bright the supernova will get, but you’ll need binoculars or a small telescope to see it. I hope this help everyone to find it especially newbies to astronomy who would like to try and find it. Unfortunately, the M101 disappears too quickly and when visible, too low on the horizon for me.